The UEFA Champions League has for years been hallowed ground for the world's best footballers. A competition that has been graced by the best of the best, its status as the world's biggest club competition is unrivalled. One of the greatest features of the competition has been the number of top-class strikers that have graced the competition since it was started in 1955. The likes of Gerd Muller, Alfredo Di Stefano, Francisco Gento and others have graced the competition with their presence, silky dribbles and amazing goals in the era when the competition was still the European Cup. 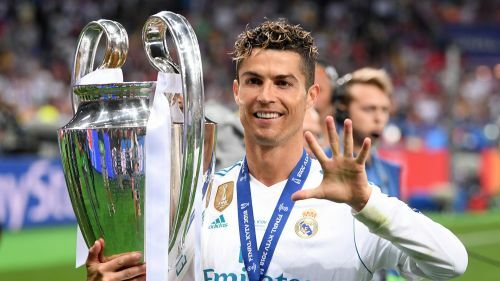 However, since it was rebranded to become the Champions League in 1992, the number of great goalscorers that have graced the competition has been impressive to view. Cristiano Ronaldo and Lionel Messi are the record holders for goals in the tournament with 120 and 105 goals respectively. One of the greatest exponents of the art of finishing, Pippo was an arch-predator who always delivered. His slight frame and lack of a discernible dribbling skill meant he wasn't as highly regarded as some of his peers. He is one of the more underrated strikers in the modern era. What he lacked in technical skill, he more than made up for with an uncanny sense of positioning and a never say die attitude. In 370 Serie A games, he scored 158 goals playing for clubs like AC Milan, Juventus, Hellas Verona, Atalanta and others. However, it was in the UEFA Champions League that he shone brightest. Between 1997 and 2012, Inzaghi featured prominently for Italy's best two Champions League teams; Juventus and AC Milan. The former Italian international who is currently the coach at Bologna scored 46 goals in 81 Champions League games for both clubs. At a scoring rate of 0.57 per game, he was prominent in the two titles won by Milan (2002-2003 & 2006-2007). 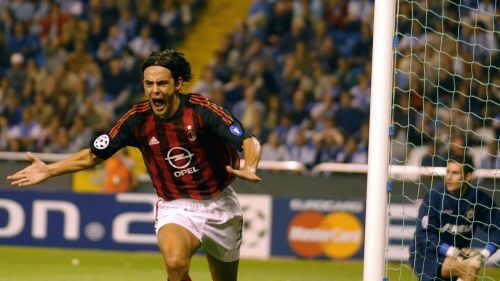 Despite his retirement 12 years ago, Inzaghi is still one of the highest goalscorers in UEFA competitions history with 72 goals. This is a phenomenal record for a player unjustly criticized as not being good enough for the highest level.